We write to convey our strongly held view that it is vitally important for U.S. and international security to reinvigorate direct diplomatic engagement with Iran to seek a resolution to the current standoff. We applaud your Administration's success in uniting the international community in its response to Iran's nuclear and missile programs and its human rights violations, and we welcome recent statements by Secretary of State Hillary Rodham Clinton and National Security Advisor Thomas Donilon that your Administration remains committed to a diplomatic resolution with Iran. But in order to capitalize on the positive steps your Administration has achieved, we believe that persistence and creativity in pursuing engagement with Iran are essential. We recognize that achieving an agreement with Iran to fulfill its international obligations and provide full transparency over its nuclear activities is no easy task. The disappointing conclusion to the last P5+1 meeting with Iran in Istanbul showed that Tehran needs to be much more serious about a negotiated solution. 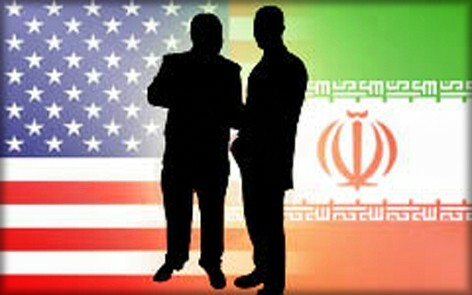 The lack of diplomatic progress with Iran has led to calls from some to take the diplomatic option off the table. We are concerned such a step would limit the U.S. ability to prevent a nuclear-armed Iran, limit the international community's ability to effectively address Iran's human rights situation, reduce the international pressure on Iran due to skepticism over U.S. motives, and increase the likelihood of disastrous military confrontation. We believe the United States and the P5+1 must continue to highlight the framework of step-by-step confidence-building measures required to ease sanctions and end Tehran's diplomatic isolation. It must also be persuasively conveyed that sanctions are not a permanent reality but instead are dependent on Iranian behavior. A near-term goal should be to test Iran's recent publicly stated offer to halt uranium enrichment to 20% levels if it could have access to fuel for its Tehran Research Reactor. A stockpile of 20% would allow Iran to shorten its time frame to produce weapons, if it chose to do so. We should forgo no opportunities to reduce that risk. A verifiable pledge from Iran not to produce enriched uranium above normal fuel grade and an agreement to export the 20%-enriched uranium it has produced would reduce the proliferation risk, while an arrangement to provide fuel for the reactor would be a humanitarian gesture benefitting the Iranian people. While such an agreement would not resolve the many areas of concern we have with Iran-including not just its nuclear program, but its human rights situation and role in the region-it would be a critical first step towards achieving a resolution to these critical issues. The targeted sanctions your Administration has obtained are helping to slow Iran's nuclear and missile programs and can help leverage concessions on the Iranian side. But winning those concessions requires the renewal of effective negotiations. We offer these observations with no illusions that diplomacy with Iran will yield quick fixes. Iran must be willing to respond to reasonable proposals to clarify the IAEA's outstanding questions about its activities and provide confidence that its nuclear program is not being used for weapons purposes. We also recognize that there are elements in Iran who may be seeking to undermine progress toward a resolution of the nuclear issue. The United States needs to reinvigorate the diplomatic initiative at this critical juncture. International pressure on Iran is now at an all time high. Iran's nuclear program is struggling to overcome technical problems. The time available must be used to convince Iran's current and future leaders they stand to gain more from forgoing nuclear weapons than from any decision to build them. We are eager to assist in any way we can with this matter and look forward to your Administration's response. Lt. General (USA, Ret.) Robert G. Gard, Jr.